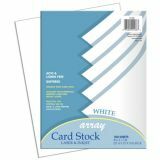 Card Stock, 8-1/2″ x 11″, White, 100 Sheets. Heavyweight 65 lb. acid free cover. 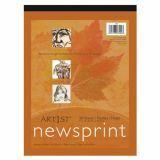 Perfect for greeting cards, postcard, report covers, rubber stamping, memory books, flyers, announcements and more. Lignin free, buffered. Available in film wrapped packages. Recyclable.